We’re very happy to announce that Music Agency represents the Albert Castiglia Band for the BeNeLux. 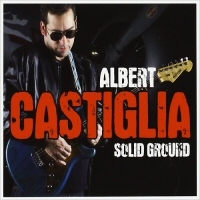 Top Blues guitarist, singer and songwriter, Albert Castiglia (pronounced ka-steel-ya) Castiglia was born in New York and raised in Miami to an Italian father and Cuban mother and combines all influences to create his unique style of modern day blues with a traditional core. For more info go to band-page!